No need for messy wires! What's included in the alarm package? ensure your family is protected. Remember, you can always tailor your alarm to suit your needs with added extras. 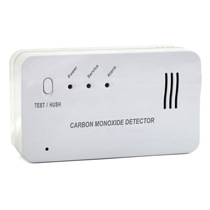 A vital addition to any home, our wireless carbon monoxide detector keeps you and your family safe and informed. Suffered from a burglary? 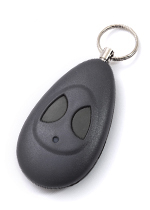 Put your mind at ease with a Panic keyfob, designed to prevent false alarms, it is a great, compact safety solution. 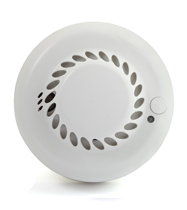 The smoke and heat detector offers a more sensitive and dependable product for early detection of fire hazards. The last thing a burglar wants is to get seen or caught. 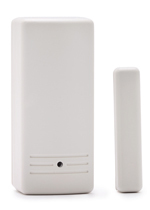 If activated, our siren emits a powerful alarm to scare any intruders from your property. 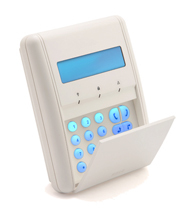 The LCD wireless keypad is powerful, yet simple. We'll even demonstrate to you how easy it is to arm, disarm and configure your alarm. 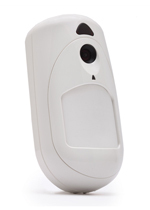 When activated, our clever camera detector takes snapshots of the scene and sends them directly to your phone for you to react to the intrusion. Our clever little detectors sit discretely in your home and spring into life when armed, keeping your home safe from intrusion. 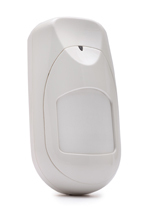 Placed neatly by a vulnerable external (or internal) door, the door contact works as a trip wire to alert you of intruders. Why choose us for your home security? 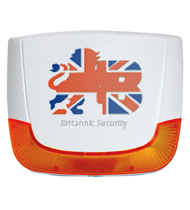 Since 1990, Britannic Security have evolved into one of the leading fire and security service providers in Birmingham and the UK. If your alarm is installed by a NSI Gold accredited engineer like ourselves, you may be able to save on the renewal of your home insurance premium. Unsure what you need for your home? * Terms & Conditions apply. All prices include VAT.